If you're interested in trying your hand at vintage car rallying, then we invite you to join us at the Coker Tire Challenge, held Thursday, September 20th through Sunday, September 23rd. It's a four-day event based out of Chattanooga, Tennessee and it's a laid back vintage car rally, in comparison to the Great Race. We always have a great time, rallying through the hills of Tennessee, Georgia and Alabama, with each day's route starting and finishing in Chattanooga. There are cash prizes and awards for Rookies and Veterans, so be sure to check out the registration options if you want to enter the Dash for Cash. 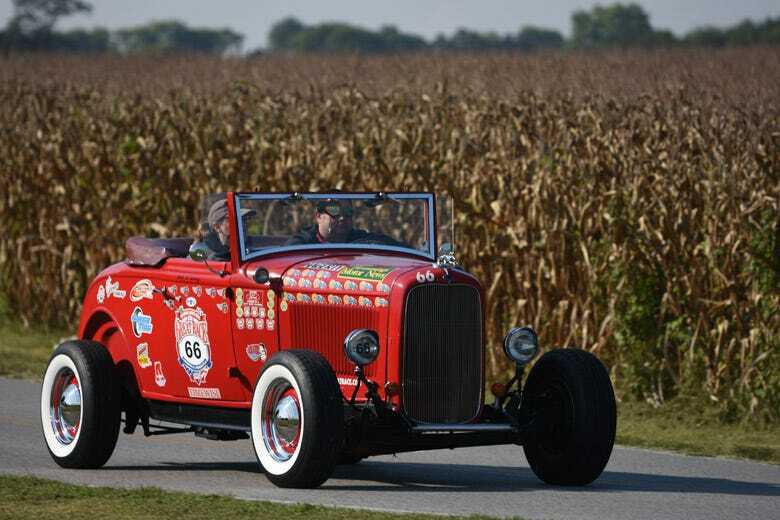 We have tech inspection and an opening reception on Thursday, a delicious dinner at Corky's farm on Friday evening, an "on your own" night on Saturday and a big award's banquet and lunch in the Coker Tire Museum on Sunday. To register, email Angelia Summers at angelias@coker.com. If you have a technical question, email Great Race Director Jeff Stumb at jeff@greatrace.com. To download the registration form, CLICK HERE.